Players and Coach of the week wrap up first week of the season. CIAA players of the week for the week ending September 3, 2017, have been announced. #78 Victor Tamba, Bowie State. Tamba was huge up front for Bowie State, helping the Bulldogs amass 599 yards in total offense in their 48-7 season-opening win at Seton Hill. Hall torched the Seton Hill defense for 361 passing yards, completing 23-of-26 passes (no interceptions) and five touchdowns and rushed for 50 yards and scored one touchdown. Hall goes deep again, connects with Lansana Sesay for a 57-yard TD … @BSU_Sports_Info Bulldogs push lead to 28-7 over Seton Hill. Sesay had an outstanding debut in the Bowie State season opener, hauling in a game-high seven receptions for a game-high 148 yards (longest of 58) and scored one touchdown. Moore led the WSSU Rams rushing attack with 19 carries for 230 yards and three touchdowns. Harrington tied an ECSU record, grabbing 3 interceptions in a single game. Hickman recorded a game-high 14 tackles including nine solos against Catawba Thursday. He had 0.5 tackles for loss and one quarterback hurry. Wyche led the team with 15 tackles, 3.5 sacks, and 4.0 tackles for loss. Smith returned three (3) kickoffs for 124 yards. His longest return was for 42 yards. His efforts helped the Broncos average possessions start on its 34-yard line in the 1st quarter, 40-yd line in the 2nd quarter, and its 45-yd line in the 3rd quarter. Witt completed 60% of his passes, going 17-28 and throwing for 257 yards in a loss to Fayetteville State. He had three touchdowns versus one interception including a 50-yard score. 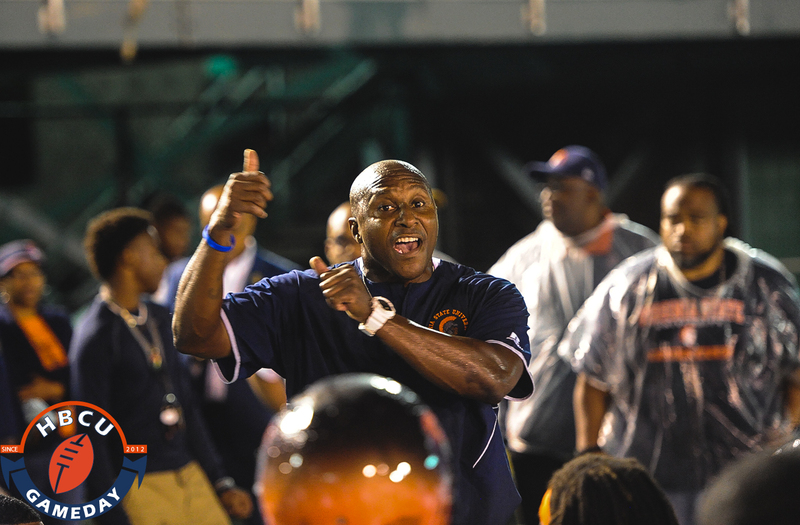 Coach Barlow led VSU to a 14-10 win over D1 opponent Norfolk State to open the Trojans season. VSU’s last football victory over NSU was in 2005. This win has set the tone for the Trojans 2017 Football Season. That’s a wrap for this week’s CIAA Players of the week.